Apply code 50TDSS on checkout and avail 50% OFF on the purchase of 2 or more tickets! 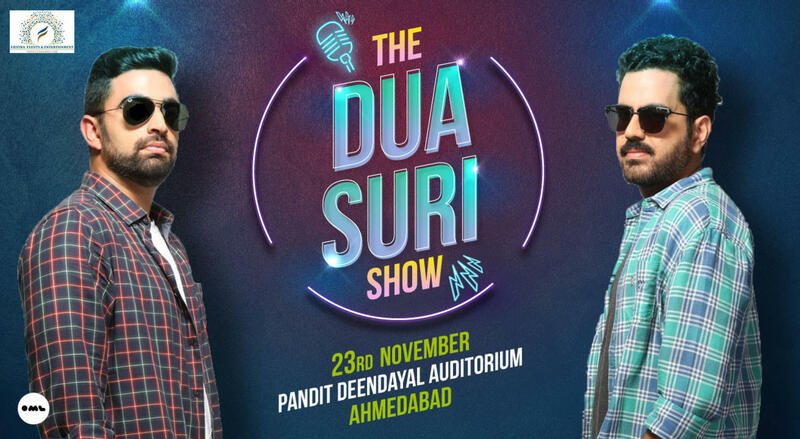 After seeing them slay in Comicstaan, watch Rahul Dua and Nishant Suri live. Put your time to good use and do not miss this insane Stand Up Comedy show. An engineer-turned- banker-turned-wedding photographer-turned-stand up comedian, Nishant clearly knows what he wants to do in life. He has been doing stand up for a couple of years now, and in this while has won competitions at IIT Delhi, Vir Das's Pajamafest, Radio One Delhi and Comedy Central's Chuckle Hunt. He's loud, he's almost always angry and is said to have the one of the most weirdly animated hands on the circuit. His jokes are as bad as his financial state of affairs, and comedy career as unsuccessful as his engineering and MBA stints. He exploits his life, family and failed relationships for jokes (or lack thereof). He likes mango shake and Harlem Shake.